Young people aren't tuning out of politics; they're tuning out of the big parties. Yes, your Trump/MAGA hat stunt was in poor taste, but that's the lesser of the offenses here. Young folks are engaged and they do care. Chances are, Tony, that the issues they're talking about are different than what your party wants to talk about. They want to talk about climate change and protecting the coast. They're very upset that despite hard work and even decent wages, there's no hope for home ownership, let alone staying above water financially. Go ahead and ask young folks today about the costs of post secondary education, training, blue collar trades and you'll get words spoken back to you that will probably hurt. Tony, young folks aren't turned off from politics, they're pissed off at politicians. They're the generation now coming into the workforce who were raised under 40+ years of neo-liberal economics and they are ripped off. Their parents grew up with a fully funded healthcare system, fully funded trades and apprenticeship programs, student loan and grant programs that kept education costs affordable; minimum wages kept pace with rents, and a tax regime that assured that everyone paid their fair share - including higher taxes on the wealthy...and it wasn't seen as 'communism', it was seen and accepted as the rightful cost of civilization and citizenship. No, Tony. Young folks aren't afraid to step into the political arena because tough words, they're far stronger than you give them credit for. This is where you get into trouble. Here, Tony tries to re-define what real estate speculation means. Mr Harris is also on record as "I've dreamed about becoming a real estate developer since I was a teenager". 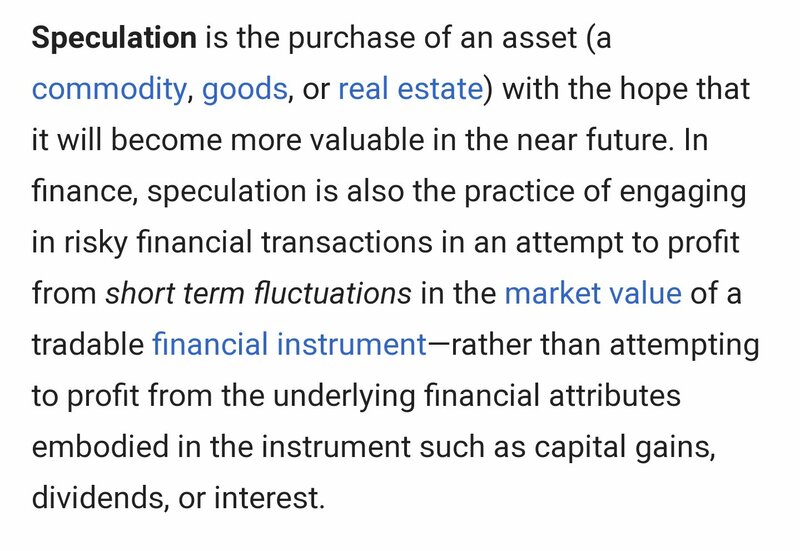 See below, from Wikipedia, the definition of Speculation (especially the line regarding risky financial transactions) as it relates to BC's problem. 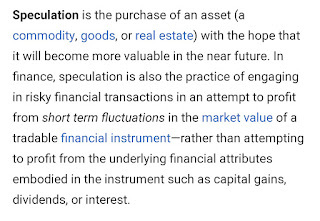 No, Tony, you don't get to re-define speculation because any other definition is politically radioactive to you. It didn't have to be this way either. Had you left the article alone, upon discovery by those who look up things, you could have remarked that you never engaged in shadow flipping (or 'assignment sales' as its technically called) and be done with it. By deleting it, you hid it. Given your party's last term in office with "triple delete", this was a very shady thing to do. And maybe, just maybe, this could all be dropped as a rookie mistake. 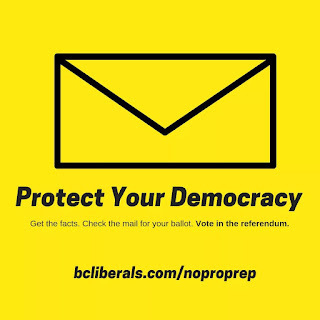 But if that's the case, why did do you and your party leadership continue to skewer the Speculation Tax and pledge its repeal when so many people think its necessary? Politics is a tough business to be sure. So its nothing personal Mr Harris, but you're on the wrong side of history here. Otherwise, best wishes to you and your wonderful young family.